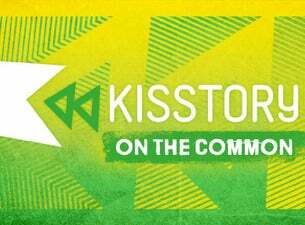 After last year’s massive sell-out – KISSTORY On The Common is back and it’s bigger and better than ever! This year they're doubling the party with not one but two huge days of the very best KISSTORY Old Skool and Anthems across multiple stages, brought to you by your favourite KISSTORY DJs, as well as exclusive live performances, special guest and loads of extra fun stuff. Look out for more announcements coming soon! Saturday 27 and Sunday 28 July on Streatham Common, London.